Our elective courses are deep dives into very complex topics that will leave you confident in each field of study. The fundamentals of gas and diesel engines and how to perform basic maintenance and diagnose problems under way. 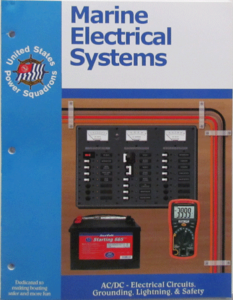 Gain the confidence to tackle direct current, shore power and communications installations, understand galvanic and stray current corrosion systems, lightning protection and more. Learn voice communications and the use of digital selective calling (DSC), and get the skills you need for a day sail or offshore adventure. Learn in an interactive classroom environment. Understand weather systems, weather reports and available resources from others. For boaters, knowing the forecast isn't enough; you need to understand its impact on you and your boat. Learn basic sailboat designs and nomenclature, rigging, and safety, the physical aspects of sailing forces and techniques, sail applications, marlinespike, helmsmanship, and handling of difficult sailing conditions. This course will benefit non-sailors as well as novice and experienced sailors. 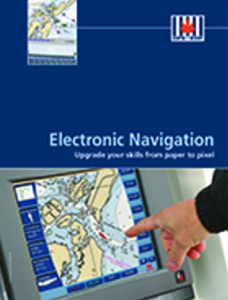 This supplemental and advanced course helps you understand functions on your GPS and chart plotter, using your tablet or smartphone to help you navigate on your boat, and transfer your cruise plan to your GPS. 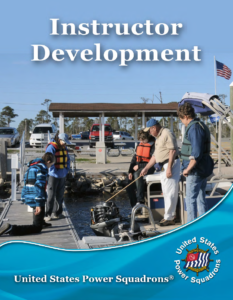 Want to become an Instructor? The emphasis is on enhancing presentation techniques and instructor skills and is designed to demonstrate interactive teaching methods focused on adult learning.